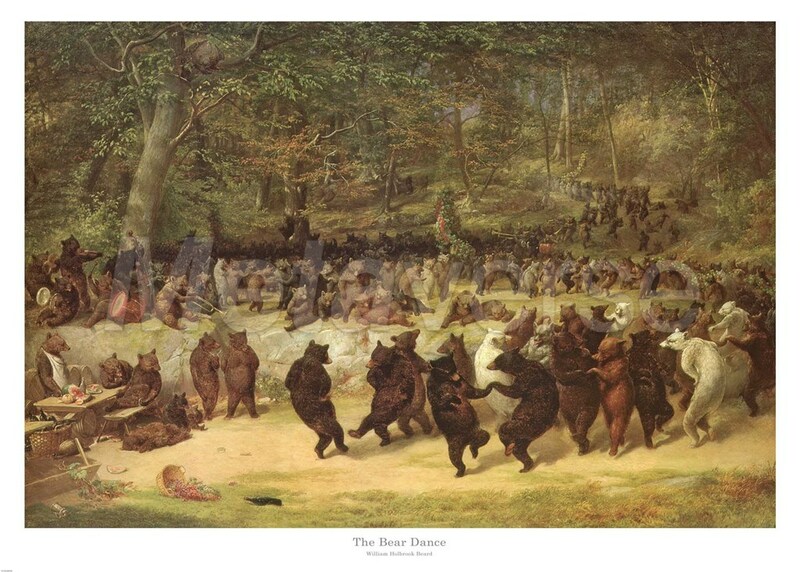 This romantic fantasy depicts bears -- symbolic of conservative financial investors -- celebrating a good business day; it was most probably painted earlier than The Bulls and Bears in the Market. The original painting was previously owned by the Strangers Club in New York City. When the club disbanded its property was divided among its members, and this painting was taken by Joseph R. Megrue, father of the donor.